Laura’s favorite movie of all time was “Say Anything”. Early on, I wanted to come up with something that was heavily influenced by this fact. Early concepts centered around a boombox being held up by a heart, however, everything seemed too forced. With that in mind, I researched lines from the movie and one line, in particular, stood out because it had significant meaning from our last Christmas together as a family. On Christmas morning, the kids presented their gifts to Laura. Evan gave her a necklace with mom inscribed on it. It immediately made her cry. Olivia gave her a pen. I’m not even sure it said mom or anything like that on it. Laura laughed and said, “I gave her my heart, she gave me a pen.” At the time, it didn’t hit me that this was a quote from “Say Anything” until I found it months later while researching quotes from the movie. After finding the line, “I gave her my heart, she gave me a pen.”, I now knew how I wanted to portray the organization. One day, while I was driving, inspiration hit me at a stoplight, so I reached for a pen and quickly sketched out the initial logo. As I stared down at it, I knew I had finally come up with a solid concept. I also realized that the kids and I had been inadvertently drawing the logo for many months now. It all started when we took our first trip to Captiva as a 3-person family, and I started drawing a heart with wings and the initials “LW” in the middle. Mommy’s logo took off from there; we started putting it everywhere; in the sand, on paper, on walls, on sidewalks, on posters, etc. I even used it on her birthday when I decided to honor her by helping others throughout the city. 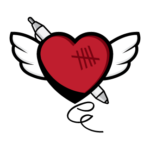 The heart and pen concept is also symbolic of our relationship, Laura was always a person that did everything by the books and planned everything out perfectly. I tended to go with my gut feeling or heart on many matters, so I felt this was a nice sentimental compliment as well. From a business perspective, the mark is pretty straightforward. There’s a tremendous amount of planning involved when creating a family’s “One Great Day“. A day like this isn’t something that you can just throw together and hope it goes well. It will go well because of the hours upon hours put into finding out what a great day is for a family, while also discovering how we as an organization can relieve them of the burdens at home that many of us find trivial. Then, all of that careful planning will need to be executed by an army of volunteers who are passionate about making someone’s day. You can’t have passion without heart, and it’s our hearts that will make this organization great. The heart is our lifeline – in life and purpose. Without it, we have nothing. While I do feel that hearts are overused in Non-profits, it just made sense from a personal and business perspective. And finally, the little swirly below the heart. Once you see it, you’ll never unsee it. It’s an LW. Highly stylized, but there. I didn’t want the brand to become a shrine to Laura, but I never wanted to forget that she’s the reason that this organization started. 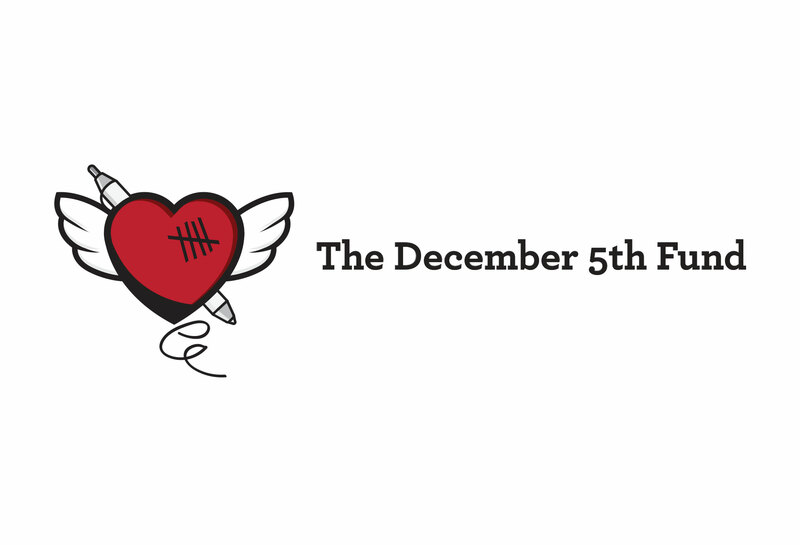 Her drive, passion, and generosity to others is the foundation for The December 5th Fund. Even in her darkest hours, she still found time to make someone’s day. And that’s exactly what I plan on doing. To make someone’s day.